Interlock tiles and designer tiles from Shilpi Productions are the ideal choice for modern flooring needs. We are in the flooring business since 1995 and established ourselves as one of the most trusted flooring associates for the clientele. We manufacture all types of Interlock paving tiles, Designer tiles and Flower pots with passion and creative niche. Our products are highly accepted and appreciated by the pavers and users all over. The supreme product quality and service levels are well acclaimed in the market place. We offer the products in various thicknesses and colours for better utility and choice. We work in close association with our clientele in order to be more proactive in our approach to fulfill the need based requirements. We have variety of moulds to offer larger collections to the end users. The ability to produce bulk quantities on agreed time lines with custom specific designs are our forte. 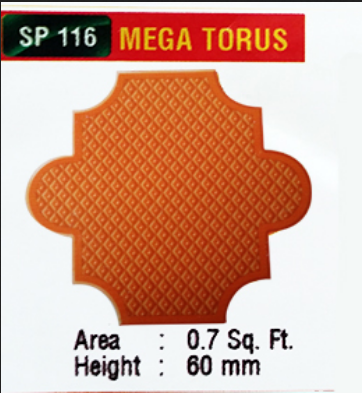 The tiles and Interlock blocks from Shilpi productions are widely used for homes, gardens, pavements, clubs, resorts, restaurants, hotels, commercial complexes, shopping malls, roads, parking areas, pool side paving, foot path paving etc. Our presence in Kerala, Karnataka and the Middle East is a great advantage for our operations and market reach. We have a group quality advisors and creative designers in our team to provide us with all the necessary quality and creative products at all times.